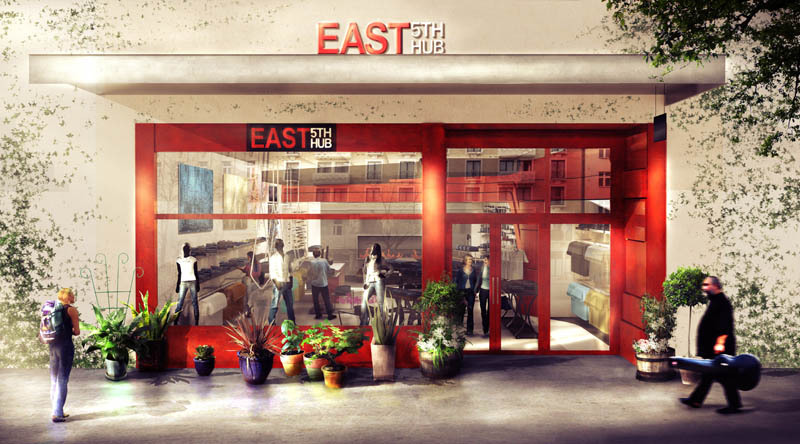 The East 5th Hub Fashion Retail store concept is the basis for a new nationwide rollout of retail outlets for renown denim and clothing designer, Kevin Chen of MEK Denim. Taking the concept and design lead, Studio Shift collaborated with Jack F.P. 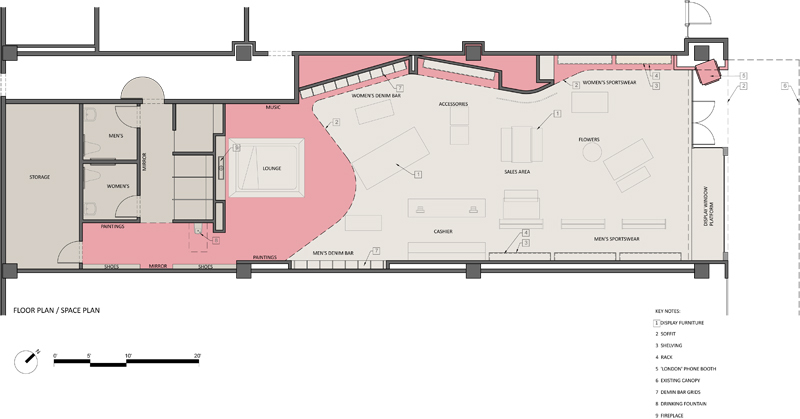 Fong Architects and Decon Group, Inc. to create a modern space that reflected the dichotomy between old and new, linear and fluid. 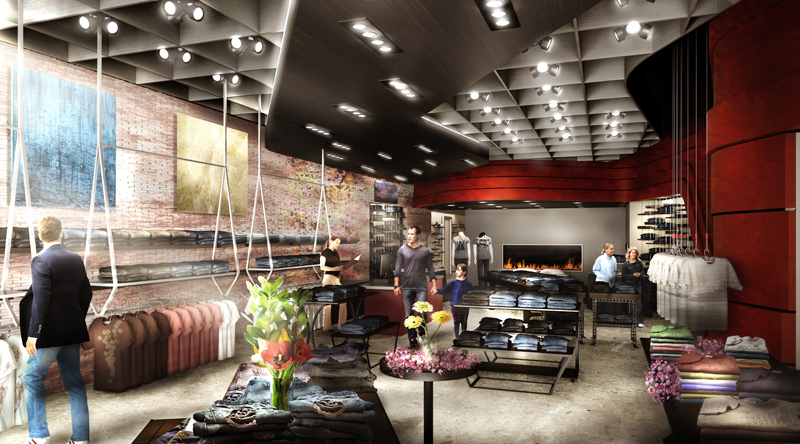 The emphasis on denim is foremost and evident in the uniquely articulated denim display system nestled within the curvilinear red, metal-clad wall that originates at the entry of the store and finally terminates above a lounge area for relaxation and display. Maximizing display potential and flexibility, the designers with the client determined that product display would be best accommodated through a series of authentic, recycled industrial benches, worktables and storage pieces. 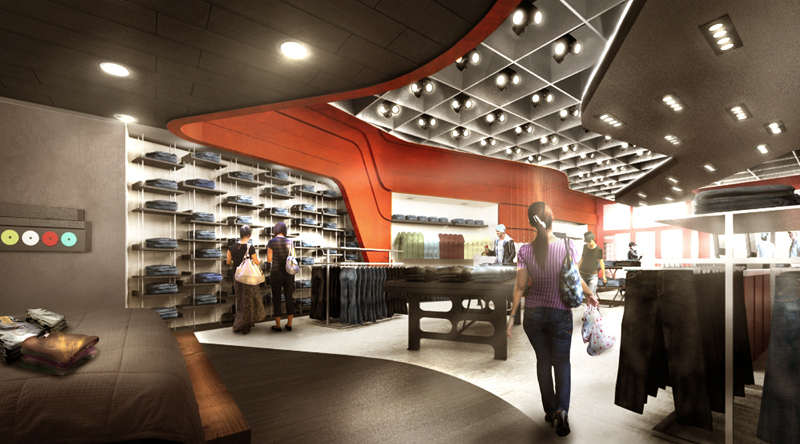 Each store would have unique pieces and therefore it's own individual character and identity. Beginning with locations in Texas and California scheduled to open in Early 2010, the concept will be adapted by others to locations across the country.